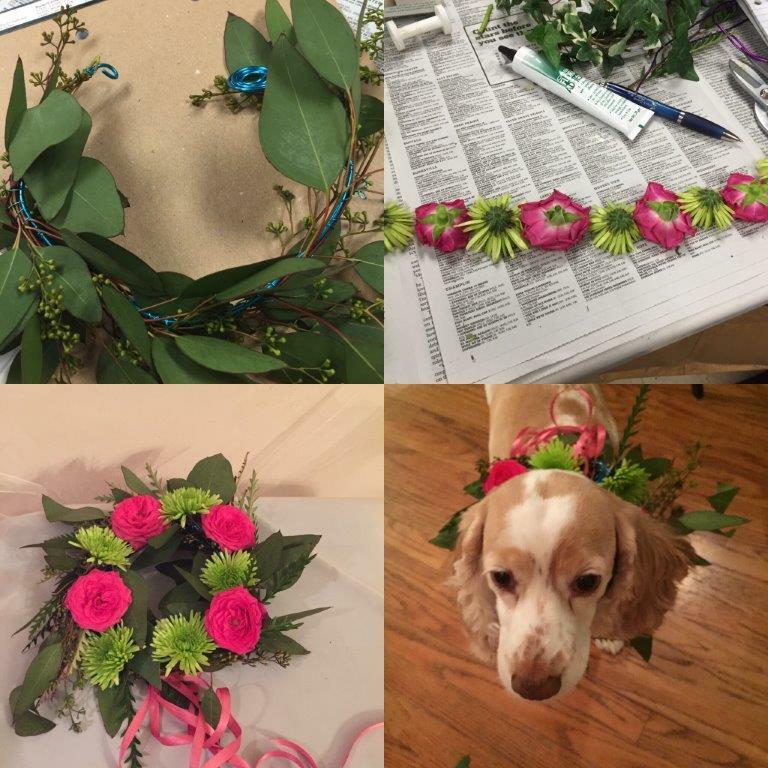 Head wreaths are very popular for brides, flower girls, table decorations, chair back decorations or proms, for all ages; and even for your dog! Measure the head of each person with a string. Cut the Aluminum wire an inch longer than the measured string. Fold the ends of the wire to make a small loop. (This is what will connect the finished head wreath). Begin by laying foliages on the main wire, wrap tightly with metallic wire all the way around to the opposite end. Tie off by wrapping around, making a knot. Cut stems completely off of the flowers. Put plenty of cold glue on the back of the flower to seal the moisture in the flower, place on the wreath. 1. You can find Aluminum and Metallic wire at Etsy.com - Michaels and your local florist.